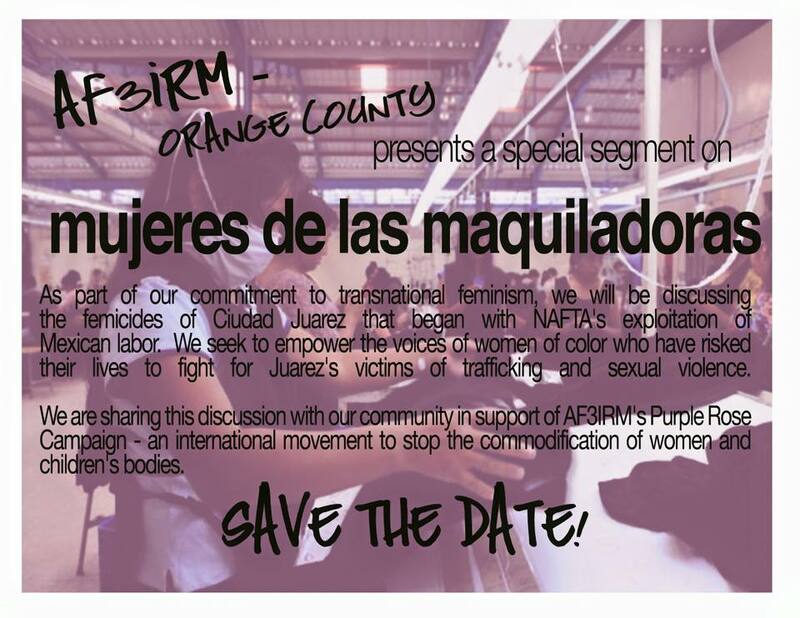 As part of our commitment to transnational feminism, AF3IRM Orange County will be discussing the femicides of Ciudad Juarez that began with NAFTA’s exploitation of Mexican labor. We seek to empower the voices of women of color who have risked their lives to fight for Juarez’s victims of trafficking and sexual violence. We are sharing this discussion with our community in support of AF3IRM’s Purple Rose Campaign – an international movement to stop the commodification of women and children’s bodies.